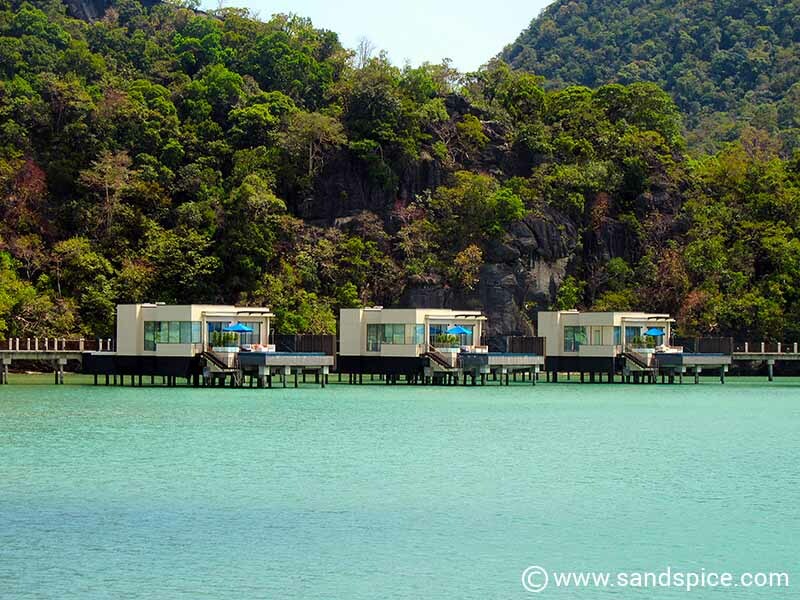 With just 1 week in the archipelago, we didn’t have as much time as we’d have liked to experience Langkawi island life. 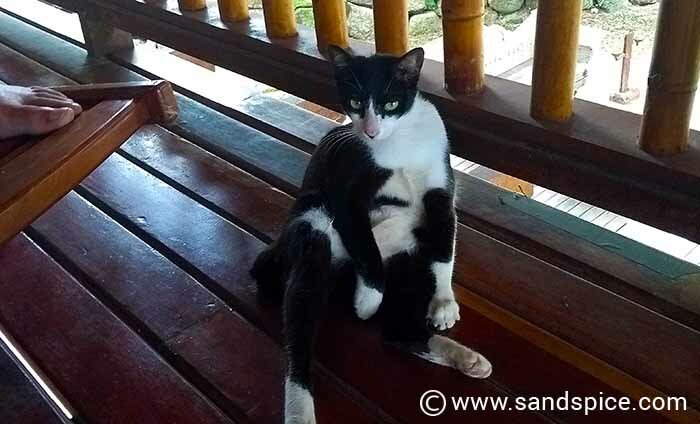 Between hopping over from Phuket and then boating onwards to Penang, we hoped to pack as much into our schedule as possible while varying our Langkawi accommodation options. 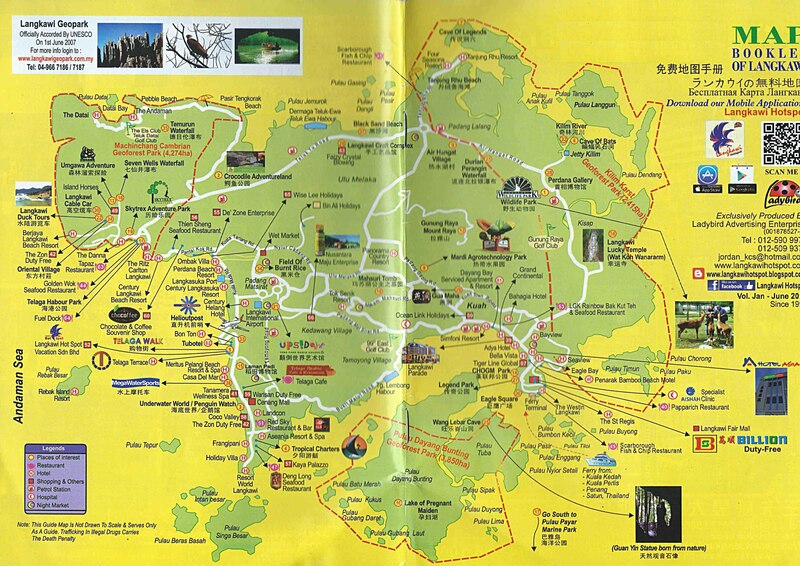 To make the best use of the time we decided to spend a few nights in the capital – Kuah – before heading over to the beaches of Cenang for the remaining days (see our Langkawi island map). 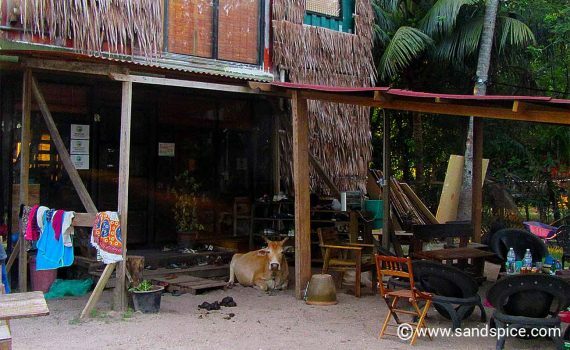 In Kuah there is a limited but good variety of accommodation options to suit most budgets. For our first three nights on the island, we chose to stay at the Seaview Hotel not far from the Jetty. At just €22 per night (including breakfast), this is a 3-star hotel aspiring to 4-star values. Excellent service accompanied by a clean room (with a view) and a good breakfast was all that we were looking for. The hotel features the Kingfisher Cafe where you can indulge in local and international favourites. 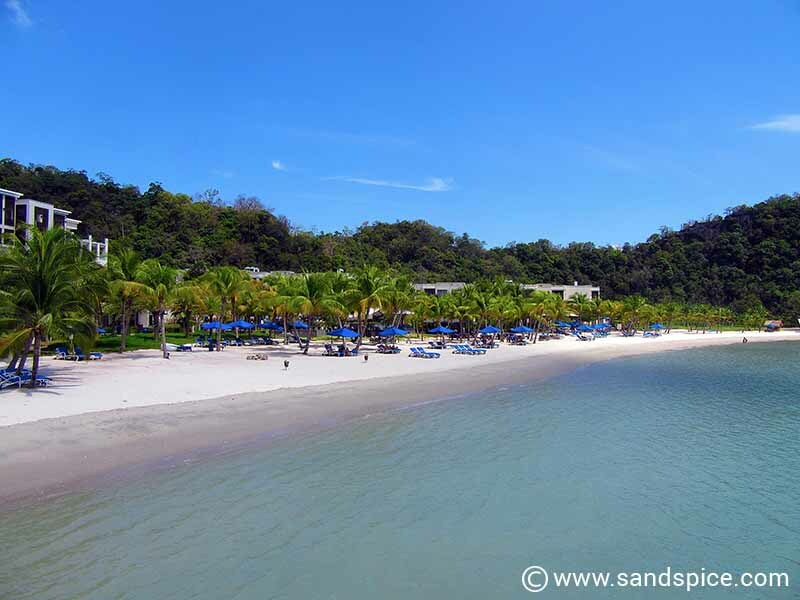 You can also cool off at the outdoor swimming pool and enjoy a Langkawi sunset. Twice a week (every Wednesday and Saturday) there is a night market just up the road not far from the Seaview hotel. Not to be missed if you want to really soak up the local atmosphere. The Village 19 Retreat is not an easy place to find – unless you have the GPS coordinates. And when you do eventually find it, you might be sorry you bothered. Their promotional pictures and descriptions promise a 2-level Malay-style wooden house: Open living area below and spacious bedroom, bathroom and balcony area above. However, what we were sold in the advertising is not what we got. The building is effectively an extension of a pretty grotty hostel. The downstairs area of the house we rented had never been cleaned, and was therefore unusable. The dirty outdoor fridge still contained leftovers from the previous guests. There was a hotchpotch of dusty kitchen utensils, but we didn’t fancy risking an intestinal infection. Our first sight of Lloyd – the manager – was behind a group of dissatisfied backpackers. He was telling them that it wasn’t his fault they were double-booked, and that he rented out his bunks on a first-come-first-served basis. Every night around midnight the kids from the hostel would party into the early hours with plenty of screaming and drunken revelry. The next morning the tables in front of the hostel buildings were left covered with empties, beer cans and food leftovers. There was also usually a pile of fresh dung in front of the Reception door, since this was where the resident cows preferred to take a dump (see intro picture). No wonder the place was infested with cockroaches. Luckily for us, we befriended a local street cat we called Hvost. He stayed around our building the whole time and kept busy chasing away the giant roaches. For this very welcome service we fed him premium cat food every morning. In truth the house we rented had great potential. The upstairs bedroom, bathroom and balcony were large and airy. There was just clearly no maintenance or proper cleaning. The bed comprised an old and really uncomfortable mattress with one undersized threadbare sheet on top, and no mattress cover. Lloyd stayed out of the way during our stay. The only contact we had was with the young foreign backpackers. They got to stay at the hostel for free in return for a few weeks ‘manning’ the reception desk. It’s no wonder the place and their bookings are in such chaos. And all this for a hefty €40 per night (excluding breakfast). 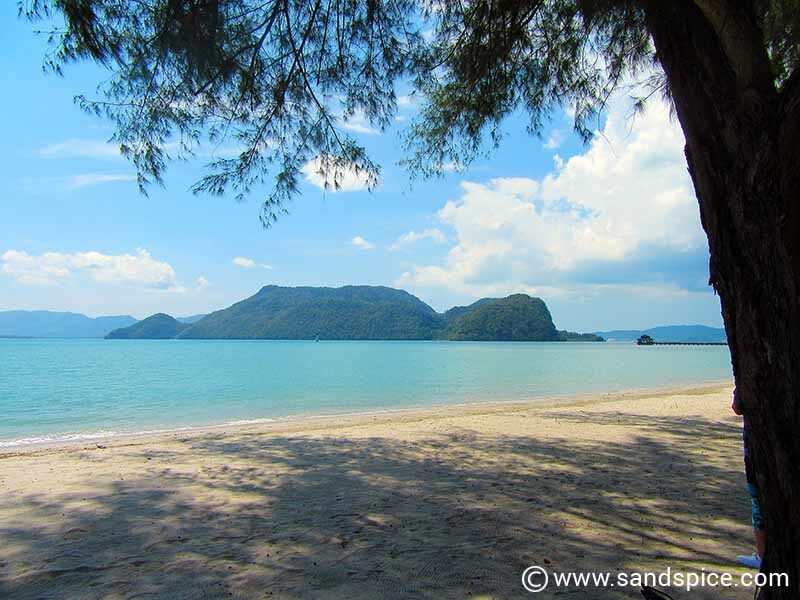 From the Village Retreat it’s a 25-minute walk to the beaches and shops of Pantai Cenang. However, next door just 5 minutes away is the Smiling Buffalo Bistro. The Smiling Buffalo is a great place for breakfasts and lunches, if a little pricy. Count on around Rm 60 (€12) for breakfast for two. The bistro is closed in the evenings. If you’re looking for something considerably more up-market, then head back to the east side of the island. Just a short walk along the coast south-east of Kuah brings you to the idyllic, refined paradise that is the St. Regis. This 5-star luxury resort is one of the newest hotels on the island, embodying the pinnacle of sophisticated island living. Set between centuries-old rainforest and the Andaman sea, the resort covers a huge area with an immaculate white sand beach, 85 suites and 4 over-water villas. Here you can expect to pay something in the region of €400 per night for a standard room. If you’re feeling flush, one of the over-water villas will cost you €700 per night (excluding taxes). To put this into perspective, 5 nights in a St. Regis water villa would cost the same as our complete 32-day Malaysian budget (including flights from Europe). Following our all-too-short 7 night stay in Langkawi, we were next taking a boat south for a week on the popular island of Penang. Similar in size to Langkawi, Penang reputedly offers a more vibrant and animated lifestyle… one which we were keen to try out.